Falls are the leading cause of worker fatality in the construction industry each year, and they’re almost always preventable. To combat this trend, OSHA coordinated its annual National Safety Stand-Down with construction industry organizations from May 8 – 12. 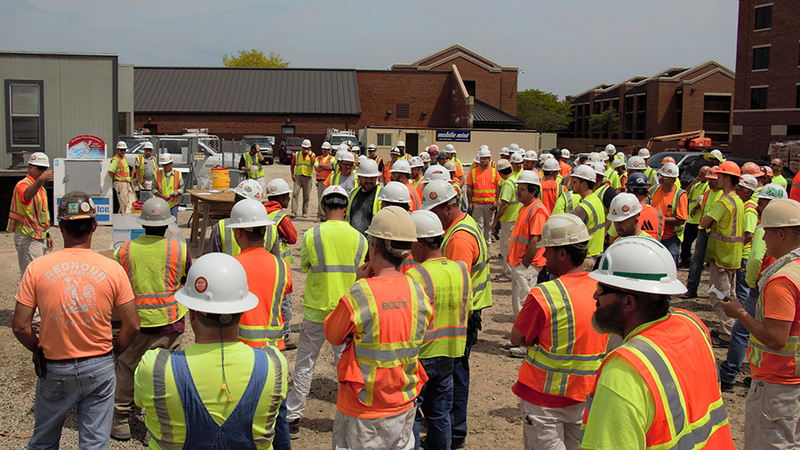 During the Safety Stand-Down, OSHA requests construction organizations take a few moments away from work to educate personnel on the hazards of falls on the construction site. On each of our project sites —from Newport, RI to Whidbey Island, WA and dozens of other points on the map— The Korte Company conducted Fall Protection Safety Stand-Downs with project personnel. Monday – Fall Protection Statistics. Tuesday – Fall Protection Hierarchy/ Eliminating Fall Hazards. Wednesday – Passive and Administrative Fall Protection. Thursday – The ABCD’s Personal Fall Arrest Systems. Friday – Fall Prevention for Ladders and Aerials. 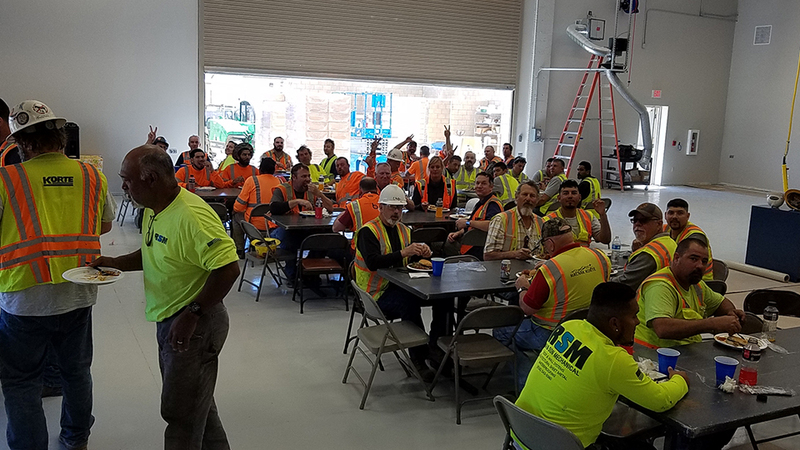 Additionally, on Wednesday May 10th, we held a lunch-and-learn for our pre-construction and project management teams in our offices to discuss implementation and management of fall protection plans on our project sites. This discussion focused on methods of pre-task planning for hazard identification to introduce hazard controls leading to reduced exposure and risk for our personnel. By participating in the National Safety Stand-Down, we enhanced the knowledge of our project personnel on fall protection. That’s how we continue to Build Smart, providing our clients with exceptional facilities with safety and quality.